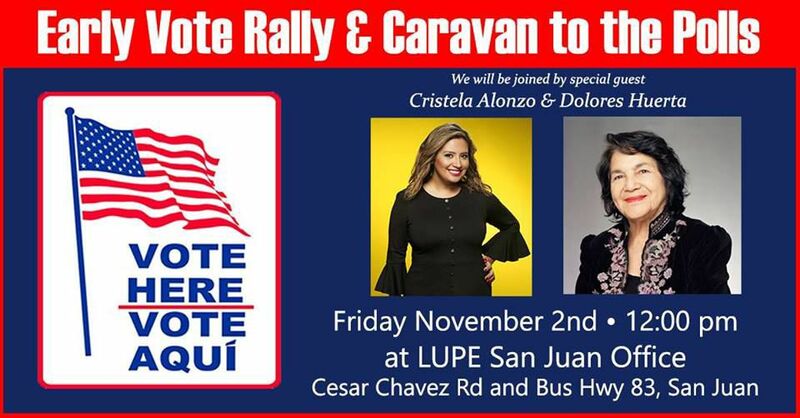 Civil rights icon Dolores Huerta and comedian Cristela Alonzo will attend a rally to promote early voting Friday in San Juan, according to a La Union del Pueblo Entero event on Facebook. Attendees will meet at the LUPE office on 1601 E. Business 83 at noon, and drive to Sgt. Fernando De La Rosa Memorial Library in Alamo to vote.